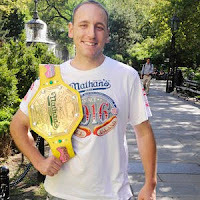 Joey Chestnut won his 7th straight Nathan's Famous Hot Dog Eating Contest in Coney Island, swallowing a record breaking 69 dogs in 10 minutes. After the competition last year Joey said, "Let's be frank...this was a serious dog fight. 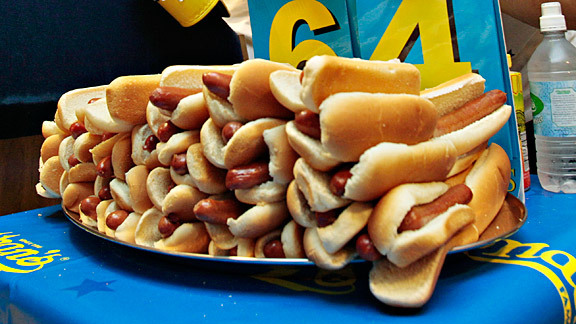 Next year I will eat 70 hot dogs." 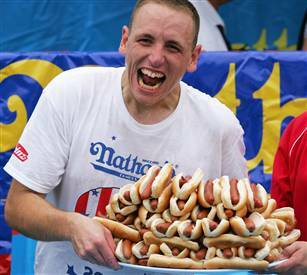 He came close to his prediction from last year but fell short by one hot dog. 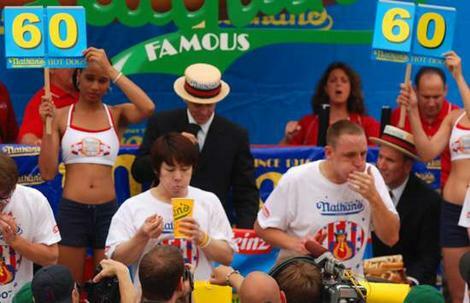 Sonya Thomas wolfed down 37 hot dogs to win the women's title.